Arrive in Paris, romance capital of the world. Transfer from the airport in Paris to your ship. * After boarding, take free time to explore Paris, or join our “welcome walk” to stretch your legs and get oriented. Note: The Paris port authority assigned Viking a docking location in Le Pecq, a western suburb of Paris. To help maximize your time in the city center, we are offering complimentary shuttles for Viking guests throughout your stay. After breakfast, embark on a tour of this dazzling city and marvel at its most remarkable sights, including the iconic Eiffel Tower. Take in the École Militaire, Orsay Museum and Latin Quarter, and magnificent Notre Dame Cathedral. Then drive past the Louvre and Opera House and along the famed Champs-Élysées. Return on board for dinner and start your cruise on the Seine this evening. After lunch, spend some time with your local guide in the provincial town of Vernon. Take a stroll to see the Maison du Temps Jadis (House of Past Times), Vernon’s oldest house, and the 11th-century Church of Notre Dame. Dinner is served on board. † Monet garden not available before March 24 or after November 1; a visit to the village of Auvers-sur-Oise, favored by van Gogh and other artists, will be substituted. Use your free time to discover more of Rouen or visit one of its museums of art or antiquities. Dine on board or at a sidewalk café. Your ship remains docked overnight. 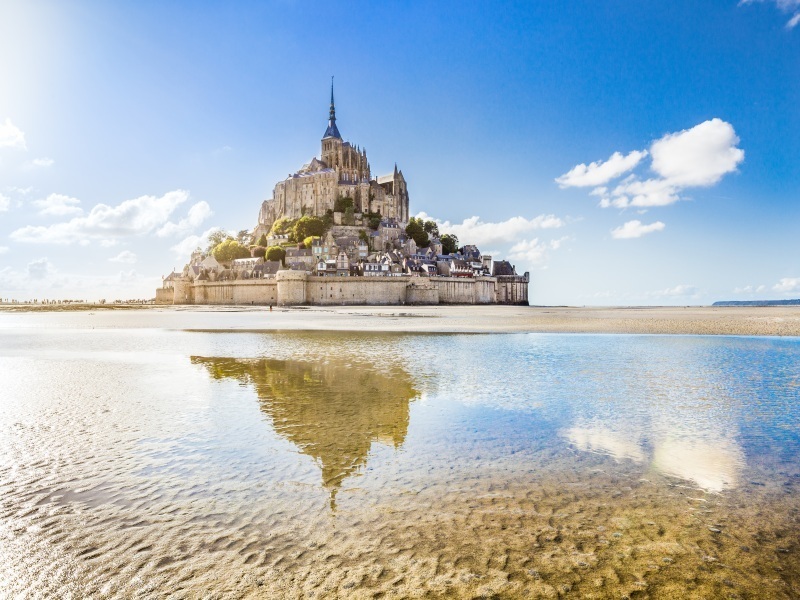 After breakfast, begin your full-day tour to the historic beaches of Normandy. Drive past Gold Beach, Courseulles sur Mer and Juno Beach on your way to visit such World War II landmarks as Omaha Beach, the American Military Cemetery and Arromanches Debarkment D-Day Museum. Alternatively, you may take a tour of Bayeaux, where you can admire the magnificent tapestry that chronicles the pre–Battle of Hastings events. Afterward, continue to Normandy’s coast and enjoy some free time at Juno Beach after your visit to the museum; then visit the Pegasus Museum. Return to your ship for dinner and relax on board, or take an evening stroll through Rouen. Enjoy a leisurely morning cruise to the small town of Les Andelys, known for its imposing castle, Château Gaillard, built in 1196 by Richard the Lionheart. After lunch, join a guided walk to this fatally flawed masterpiece of Middle Ages architecture before returning to your ship. After breakfast, disembark for a visit to Château de Malmaison, where Napoleon Bonaparte spent his final days in France. Along with the Tuileries, this elegant manor house, purchased by the emperor’s wife Josephine in 1799, served as the seat of Napoleon’s French government from 1800 to 1802. Or, join an optional tour to the luxurious Palace of Versailles, former home of Louis XIV. After breakfast, disembark and proceed to the Paris airport for your return flight. * Or, extend your time in France’s romantic capital with a 3-night Paris extension.